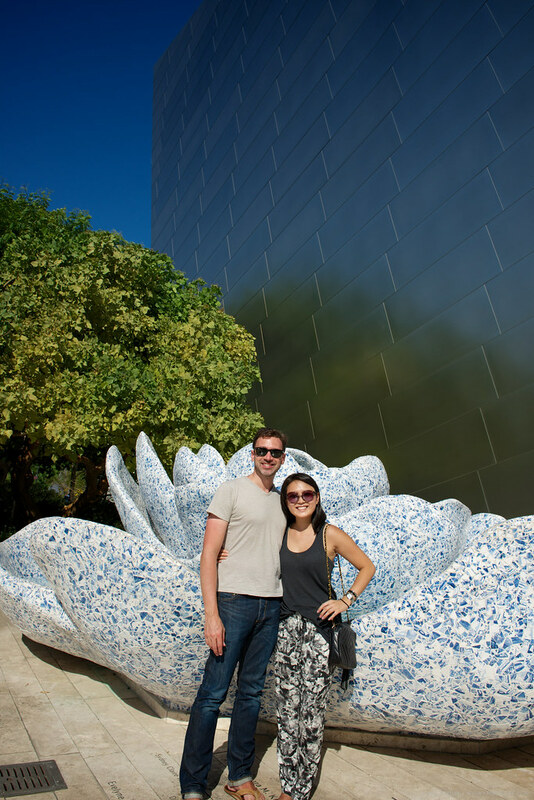 After our visit to Peet's Coffee, In-N-Out Burger and the La Brea Tar Pits, we had a few hours to kill and did some sightseeing around town. 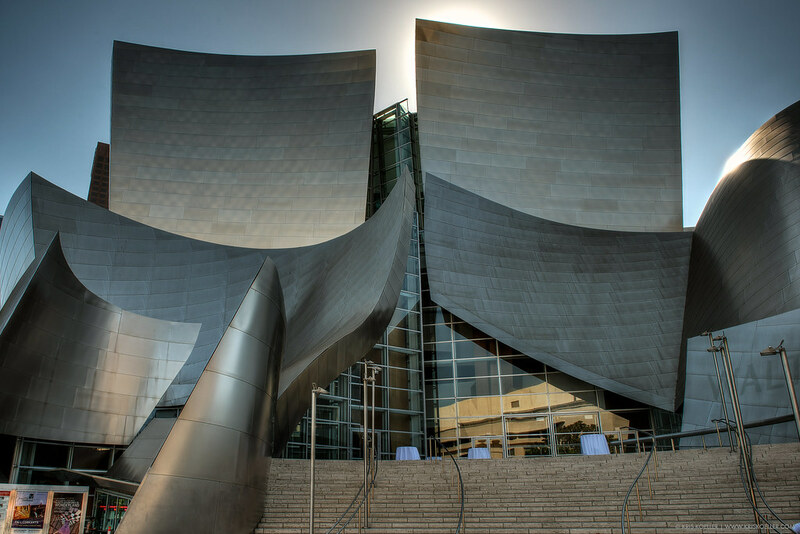 We had three goals in mind: see the Capitol Records building in Hollywood, visit the Walt Disney Concert Hall in Los Angeles and take a photo near or at the famous Hollywood sign. 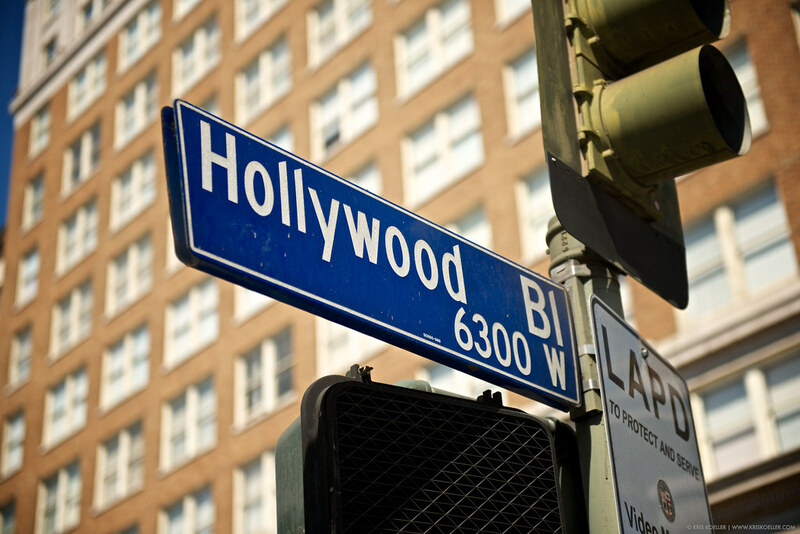 Our first stop was Hollywood Boulevard, which if you've been there, you'll agree is pretty much a dump. We didn't go near the Kodak Theater, or the famed Mann's Chinese Theater, but took this picture of a road sign. 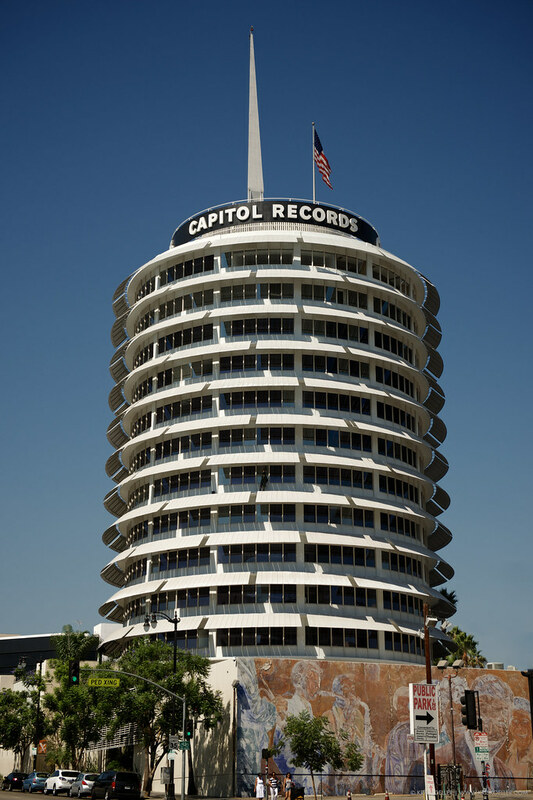 The Capitol Records building is a notable landmark and one of the most recognized buildings in California. I know this to be true because it gets destroyed in every disaster / sci-fi movie set in Los Angeles (same goes for the Golden Gate Bridge in San Francisco). 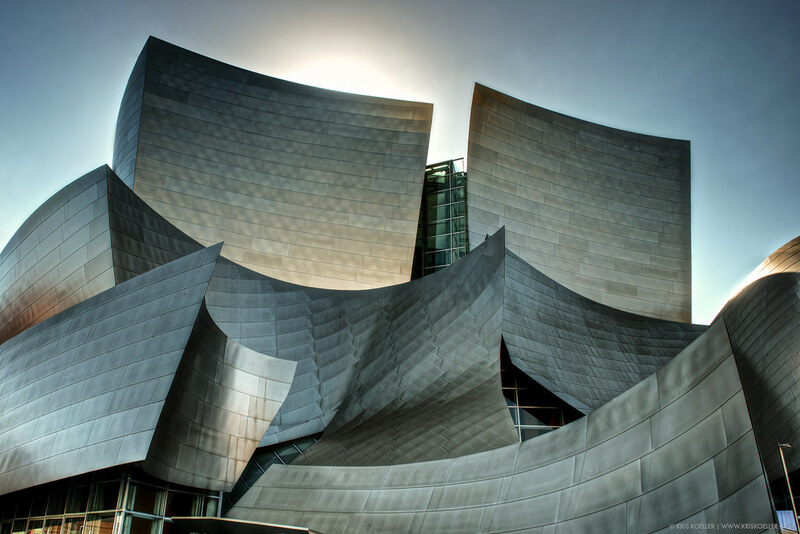 The building was constructed in 1955 but was capped at 13 floors as local zoning laws restricted building heights due to earthquake concerns. 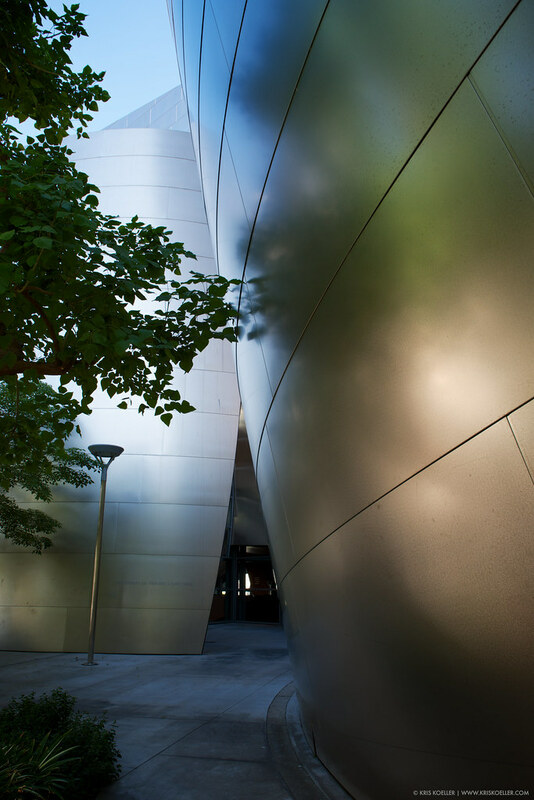 The blinking lite atop the spire spells out, "Hollywood" in Morse code. I don't know that because I used to be a Boy Scout, I read that on Wikipedia. We wanted to get a good shot of the Hollywood sign, preferably one with us in front. Not sure where to go, we consulted the Google which gave us a list of the top 10 locations to photograph the sign. 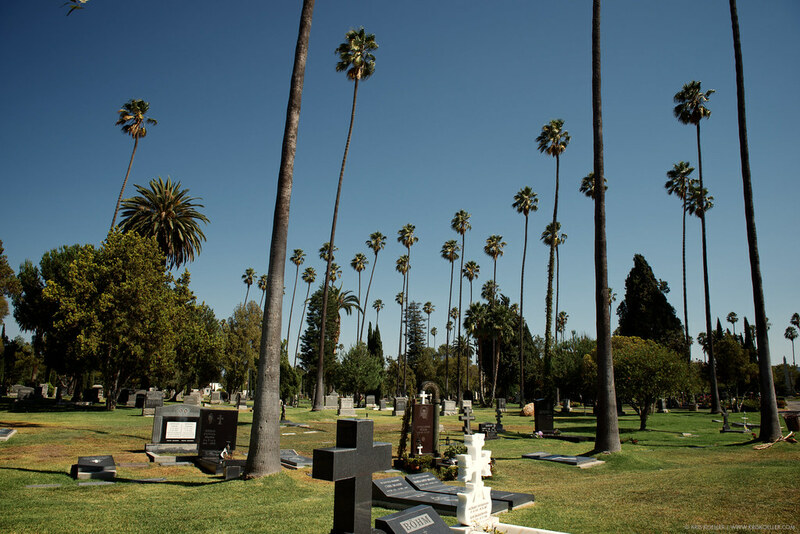 This list gave us bad advice, which we took by going to the Hollywood Forever cemetery. While its true you can see the sign from there, its so small and far away its rather pointless. 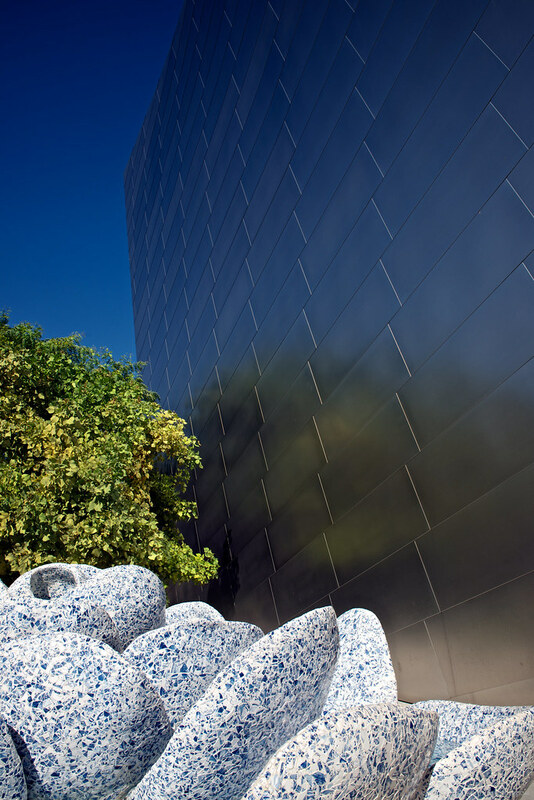 Defeated after the cemetery and starting to run short on time, we headed south toward Chino (our destination), but stopped by the Frank Gehry-designed Walt Disney Concert Hall for a few photos. 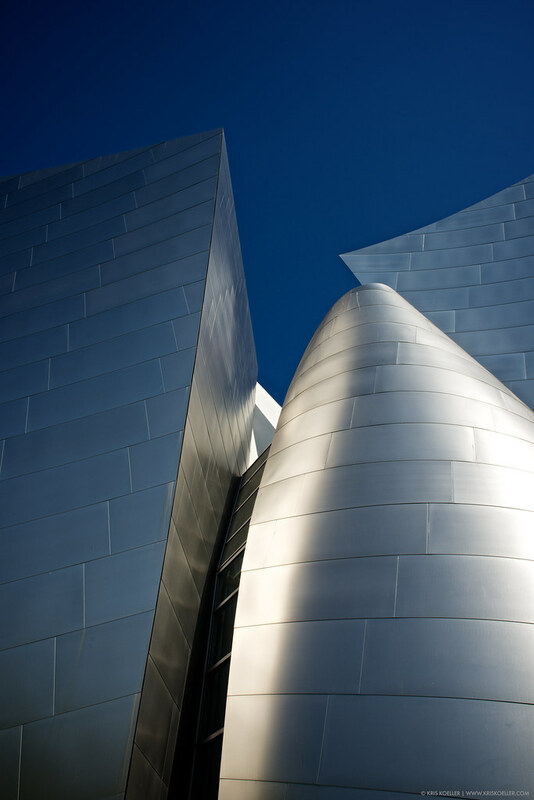 Gehry's designs are immediately recognizable with their sweeping curved stainless steel exteriors, and the Hall has been applauded as a terrific addition to downtown Los Angeles. We didn't go inside the building (we couldn't), but the surrounding grounds were open and we took a quick walk around the building and shot a few photos. 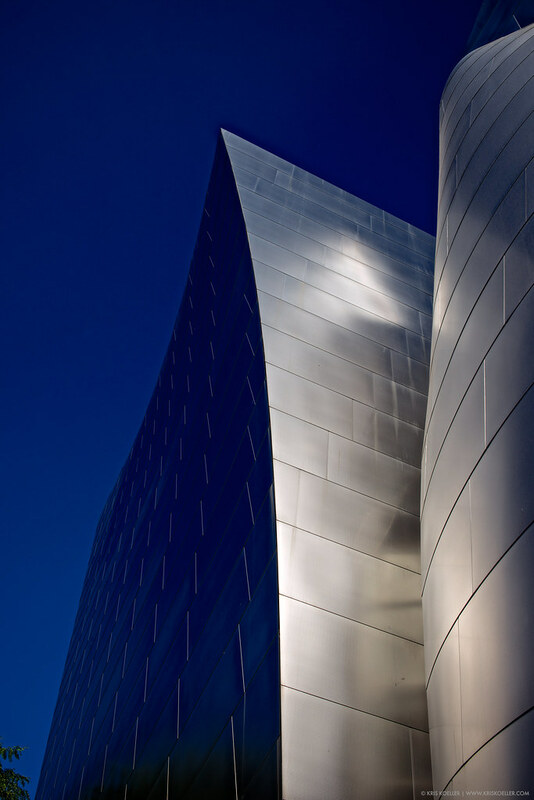 While the building's design and acoustics have been praised, its been problematic for neighbors and nearby traffic as the reflective surfaces are blinding in almost every direction. 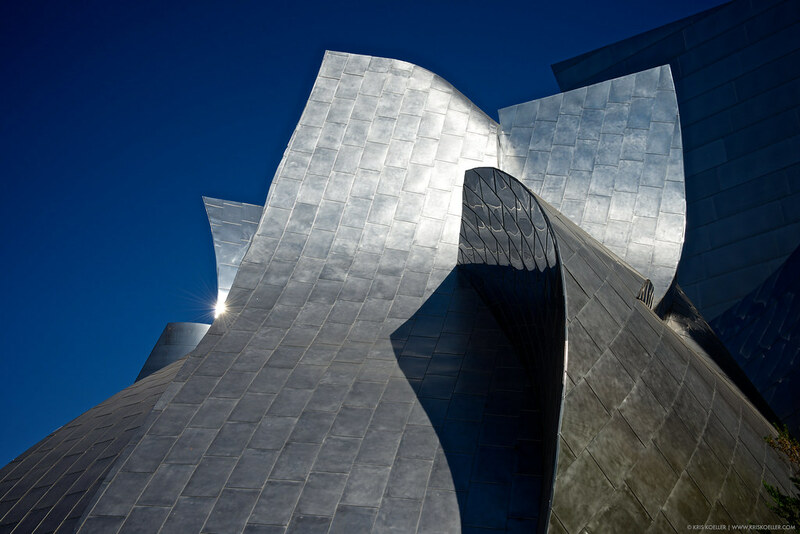 Shortly after construction, a matte finish was applied to many of the surfaces to reduce these concerns but you can't argue this thing isn't shiny. 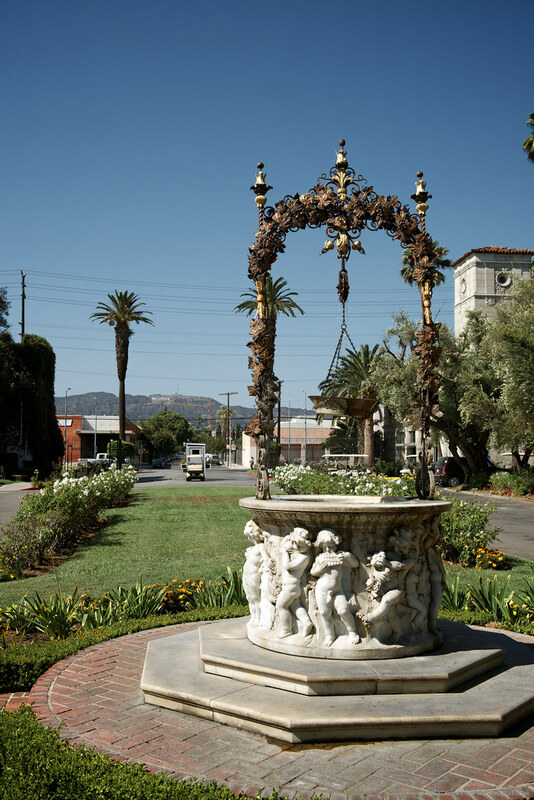 This stop concluded our sightseeing as we needed to get on to our destination in Chino Hills for the Law-Fujitani wedding (the reason for our trip). We resumed our sightseeing a day later, and returned to Hollywood for more touristy goodness.